Initiated by Joint Chiefs of Staff Chairman General Nathan Twining and Chief of Naval Operations Admiral Arleigh Burke, and then presided over by General Thomas Power, Director of the Joint Strategic Target Planning Staff (1960-1964), SIOP-62 mapped out a synchronized nuclear attack by the U.S. Air Force, Navy and Army combining strategic bombers, Polaris submarine-launched missiles and Atlas ICBMs in an ‘alert’ force of over 1,706 nuclear weapons and a ‘full’ force of over 3,240 nuclear weapons delivered to 1,060 targets in the Soviet Union, China and allied states. In this Plan there was little or no distinction made between Communist states that were at war with the United States and those that were not. Some sites (Designated Ground Zeroes – DGZs) would be struck by two or more weapons, and included both military installations and urban-industrial areas. The alert force would target 199 cities and the full force would target 295.2 The planners estimated that the total human deaths from such an attack would be 108 million in the Soviet Union and 104 million in the PRC as well as several million in satellite states,3 while Kaplan estimated that 175 million Russians and Chinese would be killed by the ‘alert’ force and 285 million would be killed by a ‘full’ force, and an additional 40 million more injured.4 To make such threats credible, the Departments of Defense (DoD) and Energy (DoE) and the U.S. Atomic Energy Commission (AEC) conducted visible tests of new nuclear weapons in various atmospheric conditions in a twenty test series between 1946 and 1963. Even after the limited test ban treaty was adopted, they continued with underground tests. 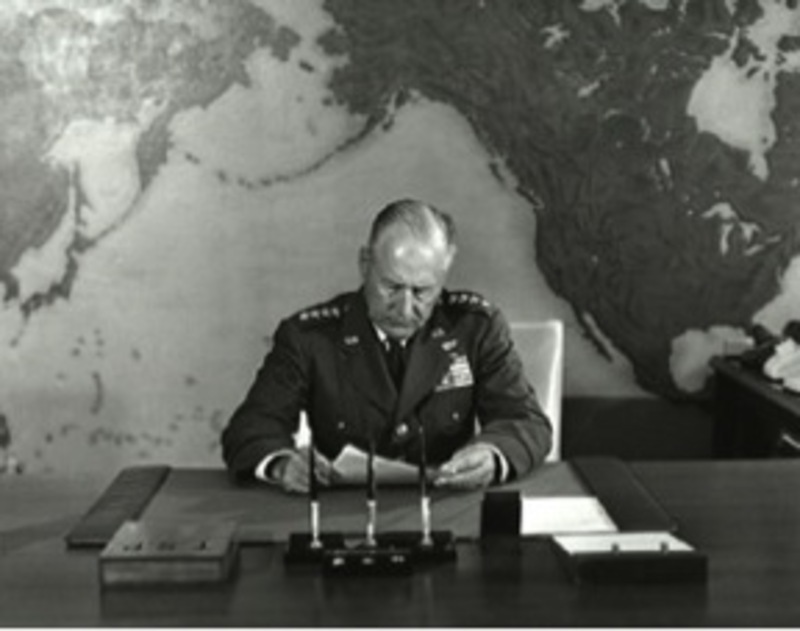 General Thomas Power presided over the creation of SIOP-62 as Commander in Chief, Strategic Air Command (1957–1964) and Director, Joint Strategic Target Planning Staff (1960–1964). As nuclear intimidation continued, and as other nations sought to gain ‘parity’, the global nuclear industry grew. It was clearly understood in these early decades that the dual-use of nuclear materials in nuclear energy generation and nuclear weapons served to establish and maintain national influence in the international arena. Since 1945, the supply and procurement of uranium together with coal (for steel production) has been a good indicator of a nation’s capacity to both rapidly increase its energy production with the potential to produce munitions and, for those states already with the capacity, to produce and enhance a nuclear weapons arsenal. High-energy power generation was an index of a nation’s war-making potential underlining the link between mining and militarisation. In the following I seek to explain why and how the Australian government in 2014 has concluded a uranium trade deal with India that is in breach of the Nuclear Non-Proliferation Treaty (NPT) by tracing the development of a nuclear nexus between India, Australia, Japan and the United States. Just as it was in the early cold war, this trade in nuclear materials is informed by interlocking and mutually reinforcing economic and geostrategic interests that have long undermined international disarmament initiatives. I argue that changing climatic conditions caused by emissions intensive energy production, however, demand a fundamental re-thinking of this paradigm. Of the 67 reactors under construction globally as of July 2014, at least 49 were experiencing delays and eight had been under construction for 20 or more years. China too, having planned before 2011 to replace heavy carbon emitting coal-fired power stations with nuclear power stations, stalled and re-assessed its position after 3.11.8 For the most part, China (along with the US, India and Germany) has boosted its renewable electricity generating capacity so that by 2013, it produced through wind, solar and hydro power over 1000 terawatt hours – the equivalent of the total power generation of France and Germany.9 In Japan, nearly four years after the Fukushima Daiichi meltdowns, 46 other nuclear reactors remain shut down. The Nuclear Regulatory Authority (NRA) approved the restart of two reactors in Sendai, Kyushu on 10 September 2014 and Mayoral consent was secured in October. Until 2014, along with China, Japan has also seen a boom in mostly solar and wind electricity generation. But this has been stalled by utilities who have refused to take an influx of renewable power into the grid or to reduce electricity prices.10 With fewer nuclear plants scheduled for construction around the world than for shutdown, however, the nuclear industry faces the likely prospect of contraction11 and replacement by rapidly advancing renewable energy options, including solar, wind, tidal, hydro and possibly geothermal power over the longer term. 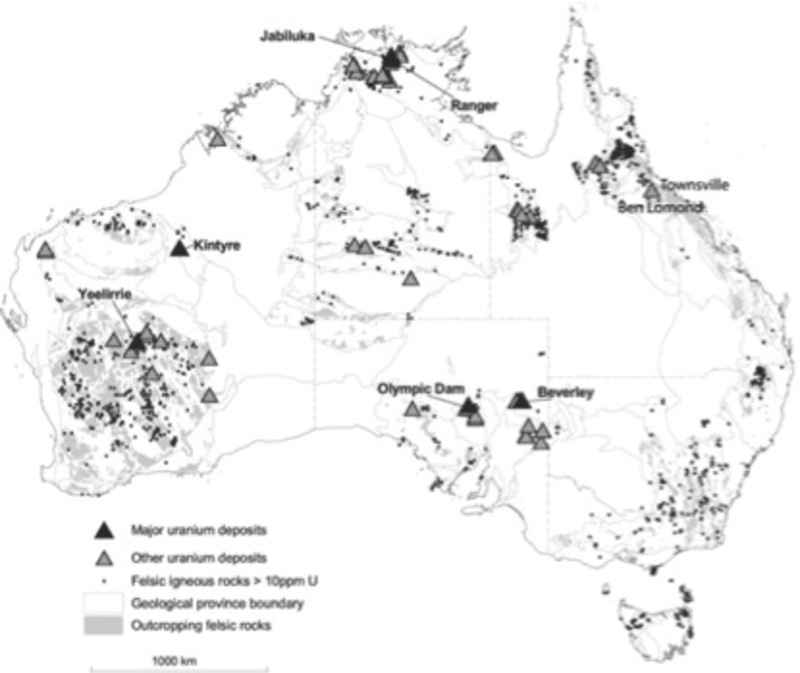 New mining leases were approved in Western Australia, Queensland and New South Wales, and Queensland Premier Campbell Newman broke his electoral commitment not to permit uranium mining by inviting uranium mining companies to commence exploration operations. The new (Queensland) Mineral and Energy Resources (Common Provisions) Bill 2014, for example, passed on 9 September 2014 authorizes a Coordinator General to overrule community objection rights to ‘State significant projects’ including coal, bauxite and uranium mines, or to limit them to concerns unrelated to environmental protection.13 This Act gives virtual immunity to large companies exploring for uranium deposits in the Mitchell and Alice River basins in Cape York and the Gulf country. Encouraged by these positive signs, along with other Japanese, Chinese and Indian investors in uranium projects in Australia, the major French energy corporation Areva recently bought a 51 percent share in a joint venture with Australian uranium miner Toro Energy for exploration in the Wiso Basin in Northern Territory.14 In other words, federal and state governments in Australia have been approving exploration licenses and the opening of uranium mines at a time when the global nuclear and uranium industry was marked by decline and exit. While some of the larger corporations chose to wait for uranium demand to rise, many in the Australian uranium mining industry scrambled to reprioritise, turning to the newly emerging market of nation-states tipped for rapid economic expansion. India attracted attention due to its high-growth economic potential, geostrategic positioning and nuclear ambitions. As then Prime Minister Howard had done in 2007, ‘energy starved’ India’s ‘power crisis’ is again being widely portrayed in desperate terms,15 while the solutions are presented as economic expansion and greater energy consumption by a growing middle class.16 In addition to coal exports, Australian politicians, in consultation with business representatives in the uranium and minerals sector, have framed the push for uranium trade with India as a ‘moral duty’ and ‘humanitarian responsibility’ to improve living standards of India’s impoverished people. Over the nearly four years since the Fukushima disaster, the Japanese government and corporations have actively courted more than 20 countries for the purchase of Japan’s nuclear technologies. Agreements had been reached with Jordan, Vietnam, South Korea and Russia under the Kan and Noda Democratic Party Japan (DPJ) governments, and the export of nuclear technology remained central to the Abe government’s economic plans. Two more nuclear technology agreements with Turkey and the United Arab Emirates have since been reached,19 and six more are under consideration – with India, South Africa, Mexico, Brazil, Saudi Arabia and Bangladesh. Despite the continuing negative effects of ongoing radioactive contamination dispersal from the Fukushima Daiichi nuclear plant, the Abe government remains intent both on nuclear startups in Japan and on promoting its exports of nuclear technology to other countries. A similar initiative followed on 5 September 2014, when Abbott and Indian Prime Minister Narendra Modi signed the Australia-India Nuclear Cooperation Agreement in New Delhi. It was the culmination of the efforts initiated by the Howard government in 2006,22 carried forward by the Gillard government in 2011–2012. After India’s ‘Smiling Buddha’ Pokhran-I nuclear tests in May 1974, when the Indian government declared that it intended to harness nuclear energy to manufacture nuclear weapons, the Australian government (and many other countries including the US) placed a ban on exporting uranium to it (France and Russia continued to sporadically export uranium under a safety clause). India had built its clandestine nuclear weapons program using imported Canadian reactors. Since Nehru, India has justified its indigenous development of civil and military nuclear capacity and fuel and its refusal to ratify the Nuclear Non-Proliferation Treaty (NPT) by pointing to the nuclear weapons held by existing nuclear weapons states. It has argued that the NPT is a flawed agreement that reflects the hypocrisy of the nuclear weapons states in refusing to seriously engage in disarmament while expecting non-nuclear weapons states to abstain from possession. In 1975, partially in response to the Indian tests of the previous year, the Nuclear Suppliers Group (NSG) initially comprising seven nations (United States, United Kingdom, Soviet Union, Japan, France, Canada, West Germany) was formed to prevent the diversion of nuclear materials used for commercial and peaceful purposes for the production of nuclear weapons. NSG members were obliged to cease trade with governments that did not submit to international inspection. India and Pakistan were included. Despite the bans, India went ahead to conduct its Pokhran II nuclear tests in May 1998. These were followed by Pakistan’s tests two weeks later. UN Security Council Resolution 1172 of June 199823 expressed grave concern and demanded that both countries foreswear further tests and abandon their nuclear weapon ambitions. expressed grave concern and demanded that both countries foreswear further tests and abandon their nuclear weapon ambitions. Despite the resolution’s unanimous adoption and threat of sanctions, the turning point was when the George W. Bush administration (2001-2009) chose to prioritize U.S. bilateral relations with India over any unified front to counter nuclear proliferation. The US–India energy agreement of July 2005 opened the way for other states, such as Australia, to engage bilaterally with India. Meanwhile in October 2008, the Singh government overcame stiff opposition in parliament to secure national and international backing for the signing of the US–India ‘1-2-3’ Nuclear Cooperation Agreement.This Agreement stipulated that India would open its civilian nuclear facilities to inspection by the International Atomic Energy Agency (IAEA) and delineate its civil and military facilities so as to ensure US-origin fuel would not be used for military purposes. In return the US would supply nuclear fuel and nuclear technologies (six reactors) and gain greater access to the Indian nuclear market. As unanimous approval from the 48 states of the NSG was also required, the US and India lobbied hard and secured an unprecedented waiver of NSG export guidelines so as to permit nuclear commerce with India despite its non-NPT signatory status. Having granted the exception, several NSG members then negotiated bilateral nuclear accords with India (including France, United Kingdom, South Korea, Canada and Kazakhstan). In 2008 the Singh government purchased 300 MT of uranium ore concentrate from Areva of France, in 2009 2000 MT of uranium oxide pellets and 58 MT of enriched uranium dioxide from JSC Tvel/Russia, also in 2009 2100 MT of uranium dioxide concentrate from NAC/Kazakhstan and in 2013 2000 MT of uranium ore concentrate from NMMC Uzbekistan.27 While details are yet to be finalised, the deal with Australia in 2014 would secure for India a steady, reliable, high-grade uranium supply from the world’s largest known uranium deposits (its uranium resources are about 28 percent of the world total). While details are yet to be finalised, the deal with Australia in 2014 would secure for India a steady, reliable, high-grade uranium supply from the world’s largest known uranium deposits (its uranium resources are about 28 percent of the world total). In November 2010, in a joint statement signed by US President Obama and Indian PM Singh, it was agreed that negotiations would begin between Nuclear Power Corporation India Ltd (NPCIL) and US nuclear energy companies in return for implementing India’s full membership of the NSG in a ‘phased manner’. India agreed to accommodate the demands of General Electric and Westinghouse, which sought strict adherence to the CSC31 by diluting the CLNDA to reduce both suppliers’ liability and the time period for exercising right of recourse in the Civil Liability for Nuclear Damage Rules 2011.32 The US-India Business Council, PM Modi and industry executives from the Nuclear Power Company of India Ltd. (NPCIL) also devised an insurance package to indemnify the American suppliers in the event of a nuclear accident for the maximum liability amount stipulated in the CLNDA (INR 1500 Crore/$250 million).33 This was to encourage US/Japan companies (among others) to collaborate in building new nuclear reactors to allow India to ‘achieve its full blown potential’.34 In short, India would take as close to full liability for nuclear accidents as possible in return for receiving the benefits of NPT and NSG membership without the full obligations expected of its members. In doing so, the integrity of the NPT was further compromised. Given that Australia’s uranium mining and export accounts for less than 1 percent of its hundred billion dollar mineral export business (iron ore, bauxite, coal, copper, nickel etc),36 however, these decisions by Australian leaders risked significant political capital over what has been a highly contentious issue in Australia’s recent political history. the NPT non-nuclear-weapon states agree never to acquire nuclear weapons in exchange for which the NPT nuclear-weapon states agree to share the benefits of peaceful nuclear technology and to pursue nuclear disarmament aimed at the ultimate elimination of their nuclear arsenals. Nuclear weapons states have had the primary responsibility to ensure disarmament of their own arsenals so as to prevent nuclear non-proliferation among other states. The export controls regime of the NSG and enhanced verification measures of IAEA (International Atomic Energy Association) Additional Protocols are ostensibly to end every possible means to acquire nuclear weapons. While Article Four of the NPT provides ‘inalienable rights to every non-nuclear weapon state’ to pursue nuclear energy for power generation, India is neither a member of the NPT nor a Non-Nuclear Weapon State and there is no provision in the NPT which permits for signatories to form nuclear cooperation agreements with Non-NPT states. India quite rightly has pointed out the hypocritical approach of the nuclear weapons states in approaching the NPT regime. As the Indian External Affairs Minister Pranab Mukherjee stated in 2007, India was not an NPT signatory because it considers the regime to be not one of ‘universal, non-discriminatory verification and treatment’.37 In the same statement, Minister Mukherjee also claimed that India had an ‘impeccable record on non-proliferation… [was] a leading advocate of the elimination of all nuclear weapons… [and was an adherent] to the values of peace and non-violence’. India’s ‘impeccable track-record on non-proliferation’ was a catch phrase coined by President Bush in 2005,38 and reiterated by both PM Modi and PM Abbott in 2014. Treating India as an exceptional case and a de facto nuclear weapons state makes even more conspicuous the selective imposition of sanctions or favour upon other non-NPT signatory nuclear weapons states such as Pakistan and Israel, or NPT signatory non-nuclear weapons states such as Iran.39 But the self-interested and strategically motivated application of the NPT was not new, nor was it limited to the US and its allies. The Soviet Union supplied China with the necessary technologies and skills to develop its own nuclear weapons capabilities, as China then supplied Pakistan. In turn, Pakistan also supplied other states that aspire to obtain nuclear capabilities. All were in a chain reaction, however, to U.S. threats to China and ultimately to the Soviet Union, in the early decades of the Cold War. While it is debatable that uranium and nuclear technology supply to India by others might serve to deter contemporary Chinese or Pakistani nuclear aggression, it has not served to prevent Indian conflicts with either of those two nations in the past. In any case, the use of nuclear trade as a strategic instrument does not ensure greater security or stability of the international community broadly defined, and this sort of leverage is not a valid use of the NPT. So despite PM Abbott’s assurances that ‘suitable safeguards’ were in place to guarantee that Australian uranium would be used for ‘peaceful purposes’ and for ‘civilian use only’, as the former Director General of the Australian Safeguards and Non-Proliferation Office John Carlson points out, the Agreement departs from two principles of Australia’s 1987 Safeguards Act (section 51):40 the acquirement of ‘consent to reprocessing’ from the Australian government prior to the separation of plutonium from spent fuel; and the ‘right of return’ of nuclear materials supplied in the event of a breach of the agreement.41 Instead, the Agreement defers to the US-India nuclear cooperation agreement in which India would reprocess in facilities built with the assistance of US companies, and leaves open the question of how separated plutonium would be used or how arbitration would apply to settle disputes. Ten of India’s twenty nuclear facilities are beyond the regulatory authority of the IAEA and India only selectively recognises IAEA safeguards for specific foreign supplied reactors and facilities. India also refuses to submit to suppliers inventory reports and accounting processes for nuclear material flowing through the nuclear cycle. As the IAEA is not able to fully inspect India’s dual-purpose (civilian and military) indigenous reactors and facilities for reprocessing, enrichment, retransfers to third countries, research and development or the production of tritium (used as a trigger for weapons), India is not fully accountable to either the IAEA or the supplier nation with which it has a bilateral agreement with in-built IAEA norms. So even if India adheres to Australia’s requirements that its uranium be used solely to supply civil nuclear reactors for electricity generation that may be inspected by IAEA as per the nuclear safeguards agreement, Australia’s (or any other NPT members’) uranium export to India effectively supplements or liberates limited supplies of Indian uranium for military uses.42 Nor could, in the unlikely discovery of the ‘misallocation’ of some Australian origin uranium toward military use, the IAEA force compliance. In fact, whether or not India accounts for the flows of Australian material in its nuclear fuel cycle, it is impossible to verify whether it has actually adhered to the safeguards. 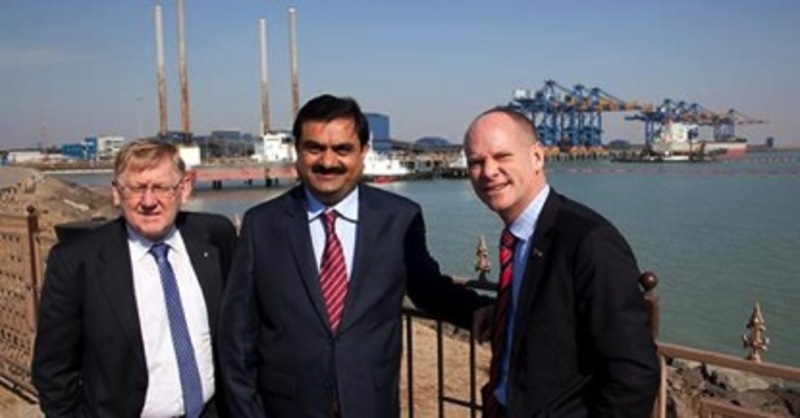 Australian Minister for Resources and Energy Martin Ferguson, Adani group founder Gautam Adani, Queensland Premier Campbell Newman in India in 2012. As has been recommended by the United Nations (UN), World Health Organisation (WHO), International Energy Agency (IEA), Intergovernmental Panel for Climate Change (IPCC), and recognised by the World Bank and the European Investment Bank, the rapid phase out of coal-fired power stations is essential if the world is to meet the now seemingly optimistic carbon emissions reductions necessary to keep planetary warming below 2 percent of pre-industrialisation levels.46 While two hundred licenses for coal-fired power stations have been revoked by the Supreme Court of India recently, many Indian overseas coal projects are still underway. There are a number of flaws underpinning the logic of this activity between political leaders and nuclear industry executives. PM Abbott insisted at the time of signing the nuclear deal with India that the Agreement would be safe. In fact, the Abbott government has committed to selling uranium to an ambitious nation that barely conceals its intentions to expand its nuclear weapons arsenal and has refused to become a full signatory to the NPT and, along with the US, China and Pakistan, has not ratified the Comprehensive Test Ban Treaty (CTBT). Prime Minister Modi is a pro-business politician and hardliner on Pakistan and Muslim populations in India and favours a security policy based on nuclear deterrence. The BJP holds a commanding majority in the lower house of Parliament. There is little reason to assume that Indian relations with Pakistan – or indeed with China – will soften by furnishing India with greater means to project its military power in the region. The surge of fundamentalist and jingoist forces in South Asia and rising military budgets and tensions between India and Pakistan on the one hand and China and the US, Japan and its allies on the other, aggravate the security situation in the region. Further, India has been waging an on-going long-term campaign against an insurgency within its borders, and it cannot guarantee against theft of nuclear-related materials. Fourth, the option of nuclear power as the ‘clean’ alternative is nothing of the sort. Although the fission operation of nuclear power stations may be ‘cleaner’ than coal-fired power stations in terms of carbon emissions, and although the heat from fission may produce more energy and less waste per volume of uranium than coal, many problems remain unresolved. These include the safe storage of long-lived nuclear waste, long build time of reactors in proportion to rapidly accelerating effects of climate change, enormous financial costs, use and contamination of vital resources required across the nuclear cycle from mining to waste production (including water and fossil fuels),55centralised monopolisation of power management necessitated by nuclear power generation, excess heating of the atmosphere through the discharge of excess heat through water and air, danger to ecologies downwind or downstream from venting while refueling reactors, and increased potential for large-scale and long-term damage from accidents. Given the advances of wind, solar, tidal and geothermal energy production which have become cheaper and more productive, as field-tested in China, Germany,56 Spain and other countries, and the abundance of these sources of energy in countries like Australia, the myth of base-load power is less sustainable than it was in the heady renaissance days. India’s pitch to rapidly increase economic growth has been embraced by the transnational nuclear industry as it represents an opportunity to expand the nuclear industry, and an opportunity to diversify from reliance on the Chinese market. But when typical cost-benefit analyses are extended to include the actual costs of the above-mentioned scenarios (nuclear weapons exchange, public health effects from industrial pollution from uranium mining and nuclear reactors, nuclear reactor disasters, nuclear waste storage, renewable energy alternatives), in an already fragile ecology in India, India’s nuclear energy plan reflects neither deep commitment to climate change mitigation nor serious concern for India’s impoverished populations. Why does the Australian, Indian, the United States and Japanese governments (among others) and their affiliated transnational corporations, continue to accelerate nuclear related operations despite these significant obstacles? It is unlikely that the Japan-India Nuclear Cooperation Agreement went unsigned because of any putative scruple Japan may have about selling nuclear technologies to India as a non-NPT nuclear weapons state. As the Modi and NPCIL accommodation of American supplier demands demonstrates, the liability clause can be flexible. It remains unlikely, however, that India will consent to opening all of its reactors for inspection.60 Rather, it is likely that Japan is awaiting an American executive decision on the liability issue and the possible inclusion of India into the NPT as a nuclear weapons state, since prior agreement would appear to abrogate Japan’s NPT obligations. That PM Modi reasserted India’s customary ‘no first use’ policy does not mean that he does not intend to stockpile and bolster India’s nuclear arsenal. The Stockholm International Peace Research Institute (SIPRI) estimates that India possesses 90 to 110 nuclear weapons.61 In June 2014, the IHS (Information Handling Service) Jane’s military research group identified what they believe to be a new uranium hexafluoride (enrichment) facility at the Indian Rare Metals Plant near Mysore. As with its other military plants, this plant is not within IAEA safeguards. Estimated to be operational by mid-2015, it would produce roughly double the amount of enriched fuel (160 kilos a year enriched to 90 percent purity) required for India’s ballistic missile nuclear submarine fleet.62 The IHS analysts surmise that the surplus could be used for thermonuclear weapons (mixing enriched uranium and plutonium stockpiles).63 It could also be used to fuel nuclear submarines, space satellites, tactical and intermediate ballistic missiles, and multiple warhead Intercontinental Ballistic Missiles (Agni V ICBM MIRVs) with the ability to reach cities in China and Pakistan. 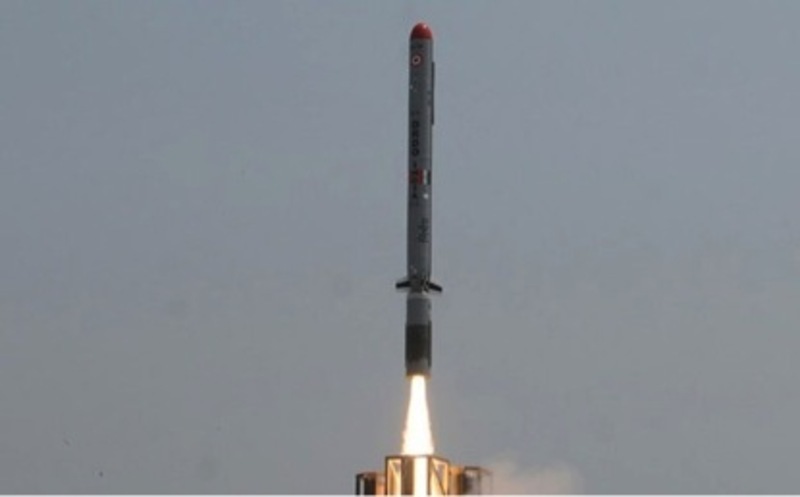 India joins the US, Russia, UK, France and China in possessing the ICBM with MIRV, leaving Pakistan further behind in terms of weapons parity, particularly in navy, air and ground forces, and missile capabilities.64 As India seeks to rival China, it could further destabilize relations with Pakistan by intensifying the ongoing arms race between the two. Regional tensions could be further exacerbated by Pakistan’s border skirmishes with Afghanistan and Iran over its support of the Taliban in Afghanistan.65 Along with increasing tensions involving US-Japan-India and China, this is precisely the scenario that NPT members have tried to avoid by subscribing to IAEA safeguards. Since the late 1950s, there have been elements in the Japanese government (led by Abe’s grandfather and former Prime Minister Kishi Nobusuke) who have advocated the procurement of tactical nuclear weapons as an entitlement under the nation’s right to self-defence as stipulated in the UN Charter. 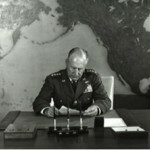 Although the US has long discouraged Japan’s nuclear weaponisation with assurances of extended nuclear deterrence, in 2003 US Vice-President Cheney stated that Japan’s possession of nuclear weapons could be tenable if it were aligned to US strategic deterrence policy.68 As an NPT signatory, Japan has accumulated the fourth largest stockpile of ‘civilian’ plutonium, the largest stockpile of any non-nuclear weapons state.69 Despite reprocessing programs having been closed down by many other countries, Japan claims that its significant nuclear reprocessing and fuel fabrication program is for ‘energy autonomy’ by which it means ‘closing the nuclear fuel cycle’. This relies upon the ability to separate plutonium from spent fuel and reprocess and fabricate it ‘upwards’ so as to produce more plutonium than is consumed, thereby facilitating an endless loop of fuel production and consumption. In this scenario, the Japanese government regards spent nuclear fuel and stockpiled plutonium as an ‘asset’ rather than a ‘debt’. This ability should not be understood as solely for the reduction of reliance on foreign fuel imports or even of nuclear waste. In 2009, Ernest J. Moniz, an MIT professor and United States Secretary of Energy in 2014, admitted that uranium, once thought to be scarce, was now so abundant as to raise doubt over the necessity for nuclear fuel reprocessing.70 As of March 2011, despite the recommendations by the Japan Atomic Energy Commission and the Science Council of Japan of both direct disposal and limited surface storage of spent nuclear fuel in dry casks over fuel pool storage and reprocessing, the Japanese government would not rule out the reprocessing option. If the closed fuel cycle ever did eventuate, it would negate Japan’s dependence on the import of vital energy resources (uranium, oil, natural gas) so as to achieve ‘energy autonomy’. This would drastically reduce fuel costs and would also reduce vulnerability to sanctions should Japan breach the NPT (or other international agreements) in its decision to ‘go nuclear’. Japan’s long-term investment in co-developing this high-level technical capability has made it the second most powerful missile power in the world, and the only nation outside the US with both low and upper-tier defences reputedly capable of intercepting missiles beyond the Earth’s atmosphere.72 Given this long-term commitment, it was not surprising that the Abe government in 2013 decided to declare the constitutional right to participate in ‘collective security’ operations with the US and other allies. This technology, and Japan’s ambiguous intentions concerning nuclear and space weaponisation, means that the US and Japan, in collaboration with partners such as Australia and India (in sea-going operations in particular), could potentially integrate not only their BMD systems but also their nuclearized capabilities. As South Korea and Taiwan have also expressed interest in reprocessing their spent nuclear fuel (as have other states such as Saudi Arabia), these developments carry strong potential for proliferation. One of the major implications of this distributed form of ‘self-defence’ is that US Pacific Command would further extend the pre-emptive strike capacity of its global nuclear strike force. With Japan’s recent release of space assets for military use (reconnaissance, communications, navigation, early warning) in collaboration with the US, this further augments the current period of US ‘nuclear primacy’ and a return to the conditions prior to 1963 when the Soviets had developed long-range bombers to deliver their nuclear payloads over US territory. Nuclear primacy transcends the concept of Mutually Assured Destruction in its ability to win a nuclear war, which the US is proposing to do by eliminating retaliatory capability with a single massive attack called ‘Prompt Global Strike’. Under the Australia–India uranium trade agreement, India will use Australian yellow cake to diversify its nuclear program. If and when the Japan–India Nuclear Cooperation Agreement is concluded, it will supply the nuclear technology India requires to build its industrial capacity and indirectly enhance its nuclear arsenal. Negotiated almost simultaneously and in coordination, both of these Agreements, together with and following the US–India nuclear agreement, tacitly legitimise India’s nuclear status and assist in its ambitions for greater international influence. Australia and Japan, both NPT and NSG members, have become complicit in India’s nuclear weapons program and partially responsible for increasing the risk of nuclear accident in India, and for potentially aggravating nuclear rivalry in Asia. India claims to need more electricity for domestic and industrial growth as well as to lift a significant population out of poverty. Yet there are many factors which create the conditions for the advance of India’s poor, just as there are many forms of alternative energy generation beyond nuclear and coal which would be safer, more reliable and powerful if given comparable investment and with smart power grid distribution networks.76 To the extent that governments and corporations continue to invest in nuclear power construction and reprocessing as a source of ‘renewable energy’, they diminish the potential to stem the destructive and exponentially increasing effects of climate change.77 China, Germany, the United States, India and even Japan are presently leading the world in investing in renewable energy technology. Yet, with the exception of Germany, this is being done in parallel with plans to expand nuclear power production. The ongoing contamination from radiation dispersed from the Fukushima Daiichi nuclear power plant came, in part, from Australian uranium.78 When the benefits of uranium trade are weighed against the potential and actual costs and damages from uranium mining, the actual risks of nuclear reactor accidents and mismanagement, the decline in costs and advances in renewable technologies, potential nuclear weapons use (broadly defined) and proliferation, and the steady production of nuclear waste, it becomes clear that state-corporate policies to expand the industry are ill-conceived. In 2014, as in 1945 and throughout the intervening decades, uranium mining, nuclear power generation and nuclear weapons remain ineluctably tied to the formation of a global power structure of nation-states and transnational corporations and instrumental in their overarching ambitions. Adam Broinowski is an ARC postdoctoral research fellow at the School of Pacific and Asian History, College of Asia and the Pacific, The Australian National University. His recent work includes a chapter, ‘Sovereign Power Ambition and the Realities of the Fukushima Nuclear Disaster’ in Nadesan/Boys/McKillop/Wilcox (eds. ), Fukushima: Dispossession or Denuclearization?, The Dispossesion Publishing Group, 2014, and a forthcoming article, ‘Conflicting Immunities: Priorities of Life and Sovereignty amid the Fukushima Daiichi Nuclear Disaster’, European Journal of Contemporary Japanese Studies, December 2014. His book, Cultural Responses to Occupation in Japan: The Performing Body during and after the Cold War is forthcoming in 2015. Recommended citation: Adam Broinowski, “Undermining Nuclear Non-Proliferation: Energy and Security Politics in the Australia–India–Japan–U.S. Nuclear Nexus,” The Asia-Pacific Journal, Vol. 12, Issue 46, No. 2, November 1, 2014. 1 R. A. Paulsen, The Role of Nuclear Weapons in the Post-Cold War Era, Maxwell Airforce Base: Alabama Air University Press, 1994, pp. 1–11. 2 William Burr (ed. ), ‘The Creation of SioP-62: More Evidence of the Origins of Overkill’, National Security Archive Electronic Briefing book No. 130, 13 July 2004. 3 Government of United States of America, Joint Chiefs of Staff, ‘Berlin Contingency Planning’, June 1961, National Security Archives. 4 F. Kaplan, The Wizards of Armageddon, New York: Simon and Schuster, 1983, p. 269. To what extent they calculated the ‘bonus kills’, as General LeMay put it, from radiation exposure is unclear, but it was likely a very conservative estimate. 5 For example, Uranerz Energy Corporation announced a net loss in the second quarter of 2013. See, ‘Uranerz Records Q2 Net Loss of $4.45 million’, 11 August 2014. 6 See Suzuki Tatsujiro in Mycle Schnyder and Anthony Froggat (eds. ), World Nuclear Industry Status Report 2014, 18 August 2014, pp. 4, 76, 155; Aaron Sheldrick, ‘Global nuclear power contribution falls to lowest since 1980s’,Reuters, 29 July 2014; Jim Green, ‘Uranium – how low can it go’, Business Spectator, 29 May 2014. 7 Schneider and Froggatt, ‘Executive summary and conclusions’, World Nuclear Industry Status Report 2013, July. 8 David von Hippel, James H. Williams, ‘Nuclear safety concers with China’s growing reactor fleet’, NAPSNet Policy Forum, 28 October 2014. 9 John Mathews and Hao Tan, ‘China shows there is more to renewable energy than fighting climate change’, The Conversation, 11 September 2014. 10 Daniel Cusick, ‘Power companies in Japan move to restrict solar’, Scientific American, 2 October 2014. 11 Aaron Sheldrick, ‘Global nuclear power contribution falls to lowest since 1980s’, Reuters, 29 July 2014. 12 Paddy Manning, ‘Producers bullish on Japanese demand’, Sydney Morning Herald, 18 December 2012. 13 Andrew Picone, ‘Mining companies now have more rights than the community in Newman’s Queensland’, SBS News, 1 October 14. Between 2013–14 and 2017–18 Australia’s uranium production is projected to increase by 32 per cent to total 9590 tonnes, as supported by the Alliance Resources’ Four Mile mine in South Australia, ore extraction at Ranger uranium mine and Toro Energy’s Wiluna mine in Western Australia. Other additional mining operations such as Cameco’s Kintyre and Yeelirrie projects as well as potential projects in Queensland are not projected to begin until 2017–18. Government of Australia, BREE, Resources and Energy Quarterly, October 2013, p. 26. 14 ‘Toro signs NT deal with AREVA’, The West Australian, 29 September 2014. 15 The World Bank estimates that nearly 400 million Indians have no access to electricity. World Bank, ‘Energy’. 16 At the recent opening of a coal mine, Prime Minister Abbott was quoted as declaring ‘Coal is good for humanity, coal is good for prosperity, coal is an essential part of our economic future, here in Australia, and right around the world.’ Editors, ‘Coal is good for humanity’, The Australian, 15 October 2014. 17 ‘Nuclear power in the USA’, World Nuclear Report, 23 October 2014. 18 Mitsubishi CEO Kojima Yorihiko quoted by Rick Wallace, ‘ Billions to flow from Shinzo Abe visit, says Mitsubishi chairman’, The Australian , 7 July 2014. 19 Editor, ‘Exports that defy reason’, Japan Times, 20 April 2014. 20 The Defense Ministry of the Abe government has sought a 3.5 percent increase to ¥5.05 trillion for the fiscal year of 2015, an unprecedented military budget for the nation. Takenaka Kiyoshi, Reuters, 29 August 2014. 21 P. Kallender-Umezu, ‘Japan Quietly Builds Limited Counter-A2/AD Capabilities’, 17 September 2013, Defense News. 22 The Howard government proposed the expansion of uranium mining and uranium exports, establishment of a uranium enrichment industry, and construction of 25 power reactors. Others in Australia propose 20 nuclear by 2050. See Government of Australia, Prime Minister and Cabinet, 29 December 2006, ‘Uranium mining, processing and nuclear energy – opportunities for Australia’. 23 United Nations, UN Security Council Resolution 1172. 24 For more discussion on this, see C. Rovere and K. Robertson, ‘Australia’s Uranium and India: Linking Exports to CTBT Ratification’, Security Challenges, Vol. 9, No. 1 (2013), pp. 51–61. 25 ‘China wants Australia’s uranium’, ABC, 17 October 2005. 26 ‘Reliance Arm paid $3.45 million to UXA for uranium exploration’, The Hindu Business Line, 28 May 2008. 27 Later, it was admitted that Indian projections are overly ambitious, and they would scale down from 20,000 MWe of new nuclear capacity to 11,080 MWe by the year 2020. 29 IAEA, Convention on Supplementary Compensation for Nuclear Damage, International Atomic Energy Agency. 30 Government of India, ‘The Civil Liability For Nuclear Damage Act’, 2010. 31 Editors, ‘U.S.-India Business Council Statement on Nuclear Liability Law’, Reuters, 30 August 2010. 32 Government of India, ‘Civil Liability for Nuclear Damage Rules 2011’. 33 Indrani Bagchi, ‘India gives US insurance plan for nuclear plants’, The Times of India, 13 March 2014; Kapil Patil, ‘Untying the Civil Nuclear Liability Knot in the Indo-US Nuclear Deal’, Nautilus Institute, 30 September 2014. 34 Kapil Patil, ‘Untying the civil nuclear liability knot in the Indo-US nuclear deal’, NAPSnet policy forum, 30 September 2014. 35 Paul Meyer, ‘India and the meltdown of Canada’s nuclear non-proliferation policy: Ottawa abandons principled position for greater access to India’s economy’, Reuters. 36 Editors, ‘Yellow cake fever: Exposing the Uranium industry’s economic myths’, Australian Conservation Foundation, April 2013, p. 27. 37 Editors, ‘India dismisses NPT as ‘flawed’ treaty’, The Times of India, 23 March 2007. 38 Demetri Sevastopulo, Caroline Daniel, Jo Johnson, ‘India nuclear deal takes Congress by surprise’, Financial Times, 19 July 2005. 39 Yusra Mushtaq, ‘A Blatant Violation Of NPT’, 26 September 2014, Eurasia Review. See also, IAEA, Nuclear Non-Proliferation Treaty, ‘IAEA Topic 2: The Implementation of the NPT for the Non-Supporters of this Treaty’. 40 Government of Australia, Department of Foreign Affairs and Trade, ‘Australia’s uranium export policy’. 41 John Carlson, ‘Is the Abbott Government abandoning Australia’s nuclear safeguards standards for India?’, The Interpreter, 1 October 2014 (part 1) and (part 2). 42 K. Subrahmanyam, ‘India and the nuclear deal’, The Times of India, 12 December 2005. 43 Crispin Rovere, ‘Australia–India nuclear treaty: a non-proliferation disaster’, Australian Strategic Policy Institute, 14 October 2014. 44 Comprising six open-cut pits and five underground mines, the Carmichael mine will cover an area seven times that of Sydney Harbour. Despite warnings from the Great Barrier Reef Marine Park Authority and UNESCO that this will place it ‘in danger’, plans to dredge and dump about 3 million cubic metres of the Reef into a wetlands sanctuary to make way for port expansions for 480 additional ships to access 330 million tonnes of coal per year from this mega-mine will use 12 billion litres of fresh water per year and will affect the habitat of humpback whales, sea turtles and dugongs. With 130 million tonnes of carbon dioxide produced every year for ninety years, this will cancel out the Queensland Direct Action target of 131 million tonnes of carbon dioxide reduction. Adani Enterprises has a dubious track record including illegal large-scale exports of iron ore at its port and numerous cases of environmental pollution. It has also been a significant supporter of the Bharatiya Janta Party. Deutsche Bank, HSBC, Citi, Morgan Stanley and possible JP Morgan Chase and Goldman Sachs have refused to fund the project while the ‘big four’ Australian banks seem to be giving their approval. India is the third largest producer, consumer and importer of coal in the world and the fourth largest energy consumer in the world. See, Mary McCarthy, ‘Darwin and Adelaide likely export hubs for Queensland uranium’, ABC Rural; Ben Pearson, ‘ Carmichael coal mine impacts will be felt for generations,’ ABC Environment , 28Jul2014, William Rollo, ‘Carmichael Coal and Rail Project: Queensland mine gets Federal Government approval’, ABC News, 29 July 2014; Candace Dunn, ‘India falls back on imported fossil fuels’, Business Spectator, 15 August 2014. 45 ‘Indian activists take on Adani coal mine’, Geelong Advertiser, 9 October 2014; ‘Ramping up against coal’, Beyond Zero Emissions, September – August 2012. 46 In support of the claim for the rapid shift from fossil fuels to renewable energy and energy savings, the United Nations’ Secretary General Ban Ki-moon stated ‘We need to limit global temperature rise within 2 degrees Celsius above pre-industrial levels. This is what the international community has recognised as the upper limit of safety. Beyond 2 degrees, the consequences will be unpredictable, highly dangerous and perhaps irreversible’. See, United Nations, ‘Secretary-General’s remarks at Climate Leaders Summit’, 11 April 2014. It is estimated that at least two thirds of proven fossil fuel reserves must stay in the ground and that carbon utilities and infrastructure must be developed beyond 2017 as 80 percent of cumulative emissions allowable between 2010 and 2035 are already locked into existing power plants, factories, buildings and services. In addition this will result in significant positive in health effects, job production, biodiversity conservation, energy independence and stronger sovereignty and resilience. Although several countries have moved to end public finance for coal and other fossil fuels, Australia has yet to do so in a significant manner. See WHO – 7 million premature deaths linked to air pollution and Climate Change – IPCC Response Strategies. 47 Editors, ‘A new engagement: The Indo-Australian nuclear deal signals a paradigm shift in the quality of the relationship between the two nations’, The Hindu Business Line, 8 September 2014. 48 Neeta Lal, ‘India’s Nuclear Energy Imperative’, The Diplomat, 8 October 2014. 50 Joby Warrick, ‘Obama and Modi announce agreement on U.S.-India efforts to fight global warming’, Washington Post, 30 September 2014. 51 Government of the United States, The White House, ‘U.S.-India Joint Statement’, 30 September 2014. 52 M. V. Ramana, ‘Indian activists detained for protesting against India-Australia uranium agreement,’ Dianuke, 5 September 2014. 53 While there are conflicting reports, in contrast to studies based on dose estimates in accordance with institutional levels (such as the ICRP), an Indian Doctors for Peace and Development (IDPD) epidemiological study found in 2007 that living within 2.5kms of the mining operations increased rates of illness (2118 households) and was upheld by the Jharkhand High Court in 2007. This was supported by a study in 2004 by Koide Hiroaki who found the level to be 10mSv/y around the mine and over 1 mSv/y in the villages. The UCIL managers have used the As Low As Reasonably Achievable (ALARA) principle to set permissible radiation exposure limits and precautionary measures and have shown disregard for the conditions of indigenous peoples living in the area. See, Shakeel ur Rahman, ‘Study on Health status of Indigenous people around Jadugoda uranium mines in India’, IDPD. UCIL Chairman Diwakar Acharya denied any correlation and blamed ordinary socio-economic factors (malnutrition). Stephanie March, ‘Australia to sell uranium to India but at what cost to its people?’, ABC 7:30 Report, 3 September 2014; Uranium Corporation of India hopes to get renewal of Jaduguda mine lease soon PTI, 6 October 2014; Rakteem Katakey, Tom Lasseter, ‘India’s Uranium Boss Says Deformed Children May Be ‘Imported’,’Bloomberg, 24 July 2014. 54 Mari Yamaguchi, ‘Sendai reactors vulnerable to eruptions, state-picked volcanologist says’, The Japan Times, 18 October 2014. 55 France, which until recently has drawn roughly three quarters of its energy supply from nuclear power stations, uses 40-50 percent of the nation’s mostly fresh water supply to cool its plants. 56 Germany, for example, prior to the Fukushima nuclear disaster in 2011 was heavily reliant on nuclear and fossil fuels. Over the past decade, however, its use of renewable energy mainly from solar and wind, has tripled. In 2013, however, renewable energy accounted for 24 percent of the nation’s total electricity supply. Despite government subsidies of roughly EU 16 billion, the Government claims to have created new businesses worth 40 billion euros per year and created additional employment to 400,000 people. Emily Steward, ABC, 29 October 2014. 57 See for example, Jeremy Rifkin, ‘No nukes!’, Los Angeles Times, 29 September 2006. 58 Nagao Shigeru, ‘Why Japan needs India as a Strategic Power’, Defence and Security Alert, 26 October 2014. 59 Vince Scappatura, ‘The U.S. “Pivot to Asia”, the China Specter and the Australian-American Alliance’, Asia-Pacific Journal, Vol. 12, Issue 36, No. 3, September 9, 2014. 60 Bhattacharjee, S., A. Sasi, ‘Japan wants slice of the nuclear pie, warms up to liability law’, Indian Express, 12 June 2014. 61 Editors, SIPRI Yearbook 2014. 62 Along with the P-5 states, India and Pakistan also continue to develop new systems capable of delivering nuclear weapons and are expanding their capacities to produce fissile material for military purposes. India conducted successful tests of the 5,000-km Agni-V, India’s first ICBM. Along with its shorter-range Prithvi missiles, India’s 2,000-km K-4 SLBM and its Agni-I (700-km), Agni-II (2,000-km) and Agni-III (3,000-km) missiles were tested under Strategic Forces Command in March 2014. It is still to test the 750-km K-15 SLBM in India’s first indigenous nuclear-powered submarine the INS Arihant in sea trials in late 2014. Rajat Pandit, ‘Pakistan surges ahead of India in nuclear stockpile: Report’, The Times of India, 17 June 2014. 64 Pakistan possesses roughly the equivalent nuclear weapons as India, which serves as a cheap deterrent in the face of India’s overwhelming conventional superiority. Nevertheless, Pakistan is developing shorter-range cruise missiles to evade ballistic missile defence and is planning a long-term build-up of its nuclear arsenal and delivery systems, including tactical short-range missiles, as a ‘full spectrum deterrent’. See for example, Tim Craig and Karen DeYoung, ‘Pakistan is eyeing sea-based and short-range nuclear missiles, analysts say’, Washington Post, 21 September 2014; Kyle Mizokami, ‘If Pakistan and India clash: 5 Pakistani weapons of war India should fear’, The National Interest, 24 August 2014; Kyle Mizokami, ‘If Pakistan and India went to war: 5 Indian weapons of war Pakistan should fear’, The National Interest, 16 August 2014; Amin Saikal, ‘Pakistan must de-escalate conflicts with three of its neighbours’, Canberra Times, 4 November 2014. 65 Amin Saikal, ‘Pakistan must de-escalate conflicts with three of its neighbours’, Canberra Times, 4 November 2014. 66 Kageyama Yuri, ‘Japan pro-bomb voices grow louder amid nuke debate’, Associated Press, 31 July 2012. 67 Adam Westlake, ‘Surprisingly Japan declines 16 UN outlawing nuclear weapons’, Japan Daily Press, 23 October 2012. 68 M. Mochizuki, ‘Japan tests the nuclear taboo’, Non-Proliferation Review, vol. 14, no. 2, July 2007. 69 M. Pomper and M. Toki, ‘Time to stop reprocessing in Japan’, Arms Control Today, January/February 2013. 70 Matthew Wald, ‘U.S. Panel shifts focus to reusing nuclear fuel’, New York Times, 23 September 2009. 71 Missile shield deployments are currently in Alaska and the Aleutian Islands, Greenland, Britain, Norway, Japan, South Korea, Australia, Poland, the Czech republic, Turkey, Georgia and potentially in Ukraine. 72 Chester Dawson, ‘Japan shows-off its missile defense system’, Wall Street Journal, 9 November 2012. 73 While Japan may have a powerful missile system integrated with the US, one should not overlook the US-initiated NATO interceptor missile system that incorporated the U.S.–Germany-Italy Medium Extended Air Defense System (MEADS) and NATO’s Active Layered Theatre Ballistic Missile Defence (ALTBMD) program and is being deployed in the ongoing military build-up in Eastern Europe. See for example, ‘SM-3 BMD, in from the sea: EPAA & Aegis Ashore’, Defense Industry Daily, 13 October 2014. 74 Government of the United States, Department of Defense, ‘Nuclear Posture Review Report’, April 2010. 75 K. Lieber and D. Press (2006), ‘US Primacy in Foreign Policy’, Foreign Affairs, March/April, pp. 42–54. 76 Andrew Picone,‘Queenslanders have more reason than ever to be concerned about uranium mining in the sunshine stateMining companies now have more rights than the community in Newman’s Queensland’, SBS News, 1 October 2014. 77 Yusra Mushtaq, ‘A Blatant Violation Of NPT’, Eurasia Review, 26 September 2014. 78 Dave Sweeney, ‘Fukushima: Australia’s Radioactive Rocks And Responsibility’, New Matilda, 29 August 2014.